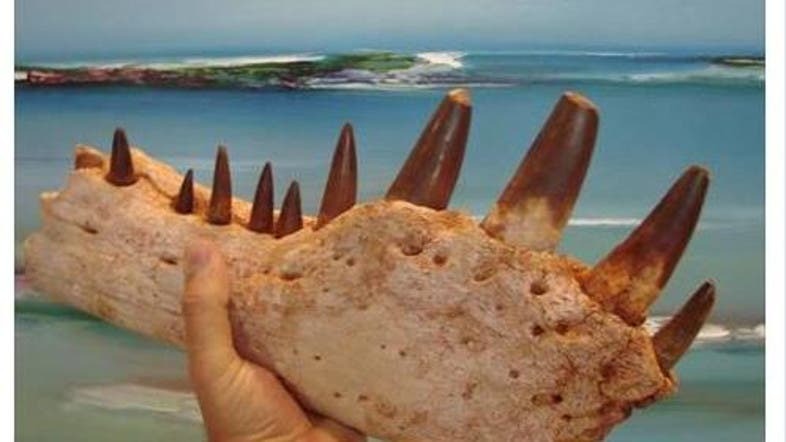 Moroccan authorities opened an investigation into the circumstances of smuggling fossils of a rare dinosaur found only in Morocco, after the auction of some pieces was found on the Internet. 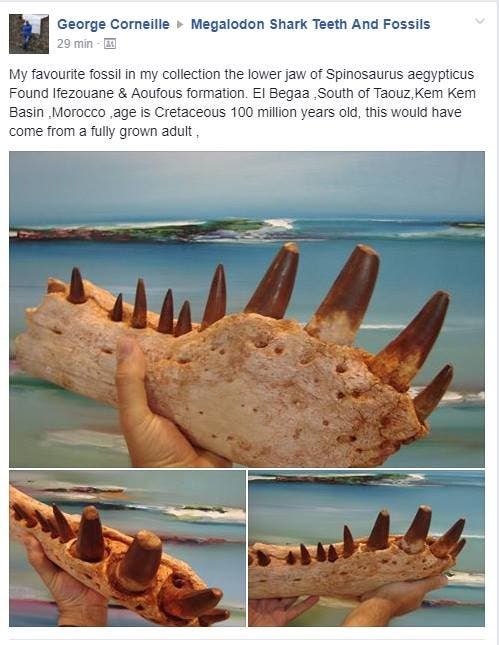 A few days ago, on a fossils and rare antiquities Facebook page, an Irish jeweler named George Cornell, posted parts of the fossils of Spinosaurus that are considered 100-million-year-old, with a picture of a small piece of the dinosaur’s jaw, which was discovered in the region of Comcom in the south of Morocco. He called on everyone interested in the sale offer to contact him in private in order to negotiate the price. Local media reported that a specialized committee of the Ministry of Energy, Minerals and Sustainable Development and the Ministry of Culture had been set up to investigate the fossils of this rare dinosaur, which is only found in the Moroccan region of Comcom, and to determine the circumstances which led to its smuggling. According to the same source, Moroccan and foreign archaeologists estimated the price of the small piece of this dinosaur at $5,000, while the final price of the skeleton would be huge given the size of the dinosaur whose first species was discovered in Egypt in 1919 by a German archaeologist who smuggled it to the Munich Museum, which was later destroyed during the Second World War. The dinosaur fossils discovered in the region of Comcom remain the only piece in the world now.